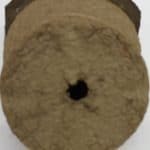 What do you do with a hive that is weak during the Fall season? 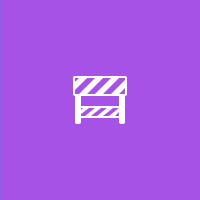 Home / Uncategorized / What is the best way to deal with weak hives during the Fall season? Fall is almost here and it time to make decisions on weak hives. Most beekeepers will face the decision of “what will I do with the weak hive”. So now is the time to rationalize what to do with these weak hives. First, let’s look at reasons why hives become weak during the Fall months. in August! The queen has run her maturity and has limited eggs to lay or has run out of her egg laying abilities. The colony has not replaced her due to no Drones available to mate with a new queen. The Queen is damaged in some way. The hive that is struggling now, with a total cluster of bees the size of a softball or smaller will not make it into Winter. Now is the time to combine the weak hive with a stronger hive. 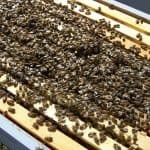 By combining the hive you are managing limited resources by saving the honey in the weak hive and feeding more robust hives during the Winter months. You are also saving the bees that are in the weak hive. 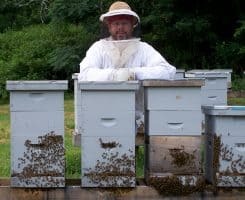 Here is a step-by-step guide to combining hives at this time of the year. Go to the weak hive and find the queen. Once you find the queen, go ahead and pinch her because she is an unproductive queen. Next, go to the stronger hive and gently smoke that hive for about 10 seconds. 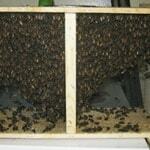 What you are doing is erasing the queen pheromone in that hive so the “weak hive” bees will be accepted. Go to the “weak hive” and smoke them gently for 10 second erasing in queen pheromone in that hive. In the weak hive, take frames with bees and shake them into the strong hive. After you are done with each frame, place the inner cover on the hive. Repeat this process until all the bees from the weak hive have been placed in the “strong hive”. Next, take the “weak hive” hive body to a storage place that is away from the hive stand where it was previously. If there is honey that is capped, seal off the entry way on the bottom board and the inner cover so no bugs or mice make their way into the hive. 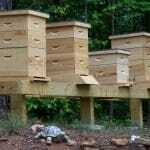 Now you can pull these honey frames out during the winter and feed the strong hives in your backyard. 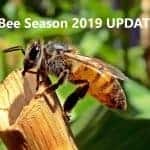 You will be pleased in the Springtime when the bees have larger colonies and you have less clean-up from dead colonies during Winter months.